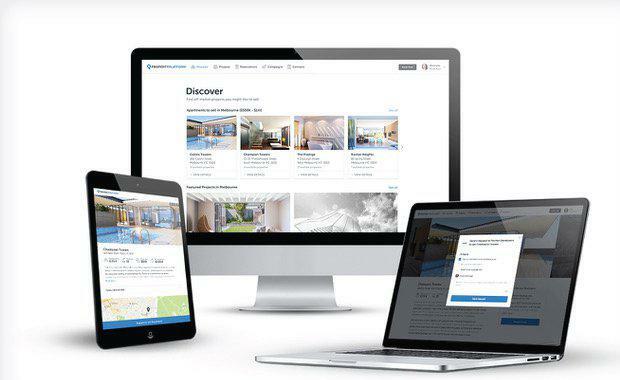 Realestate.com.au yesterday launched "Marketplace" – a new digital platform connecting residential real estate agents, project marketers and financial planners with developers and builders to sell off-the-plan property. Demand for property in Australia has reached an all-time high over the last year and buying off-the-plan is becoming more desirable for many purchasers. More than 50% of Australians searching on realestate.com.au are now considering buying an off-the-plan property as a way to get into the market at an affordable entry point, while still maintaining their lifestyle. Realestate.com.au’s new Marketplace platform has been designed to open up the doors for more real estate agents, project marketers and on-sellers to access off-the-plan opportunities for their buyers. The experience also provides property developers and builders with the opportunity to reach new selling agents beyond their existing networks. The platform brings both the supply and demand worlds together via a smart matching process that aims to improve the speed and efficiency of off-the-plan sales in Australia. Joseph Lyons, REA Group commercial executive general manager said: “We looked at what was happening in the Australian property market, and what our customers needed most, then thought about how we could leverage our capabilities as a market leader in technology to build a seamless solution which benefits both developers and agents." The Urban Developer is proud to partner with the REA Group who'll be launching the Marketplace platform at Urbanity '17. Urbanity '17 is a two-day conference held at Brisbane’s Royal International Convention Centre from 28-29 September, 2017. For more information or to register tickets see the link below. Ticket registrations are open. Be quick to ensure you don’t miss out.